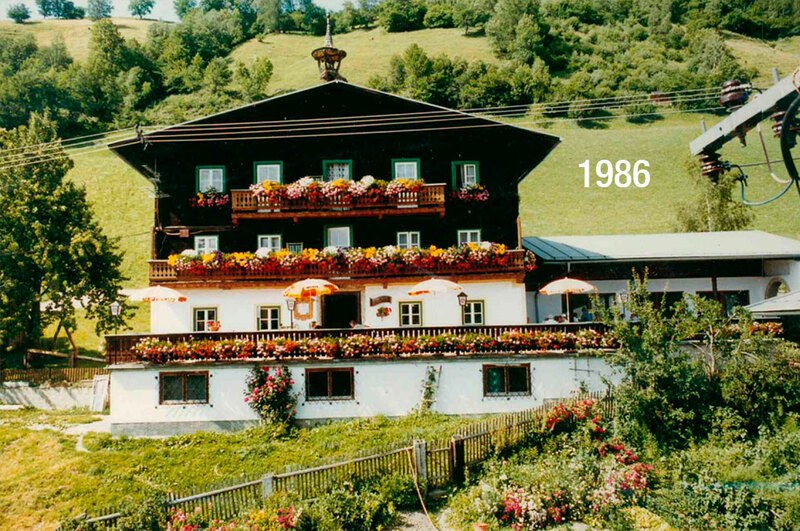 Everyone starts off small at one point, but surely “Anni & Georg Sr.” Rohrmoser did not expect the small farmhouse inn to develop like this. 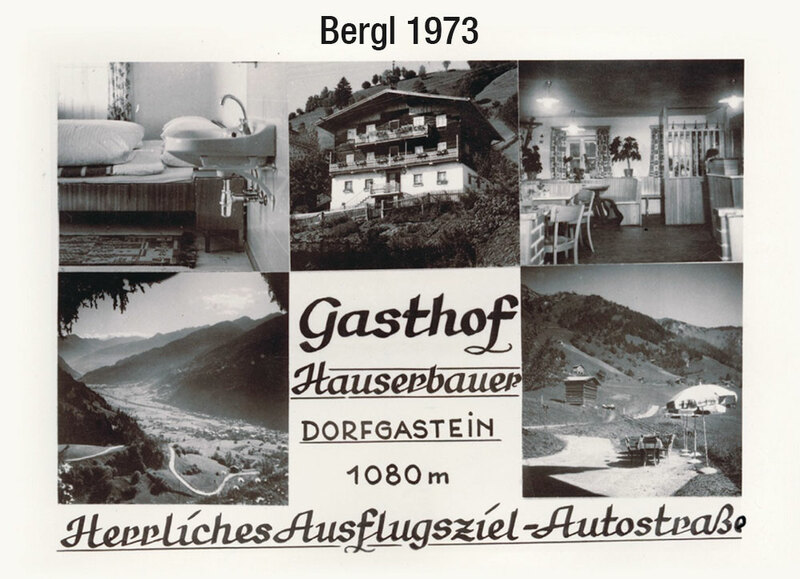 It all began in 1959 with a small farm in the quaint village of Dorfgastein, right at the entrance to the Gastein Valley, at 1,080m above sea level. At that time the route to the farm was still difficult. Yet the guests appreciated the simple, good cuisine, the idyllic location and above all the hospitality of the innkeepers. The course was set for gastronomy. 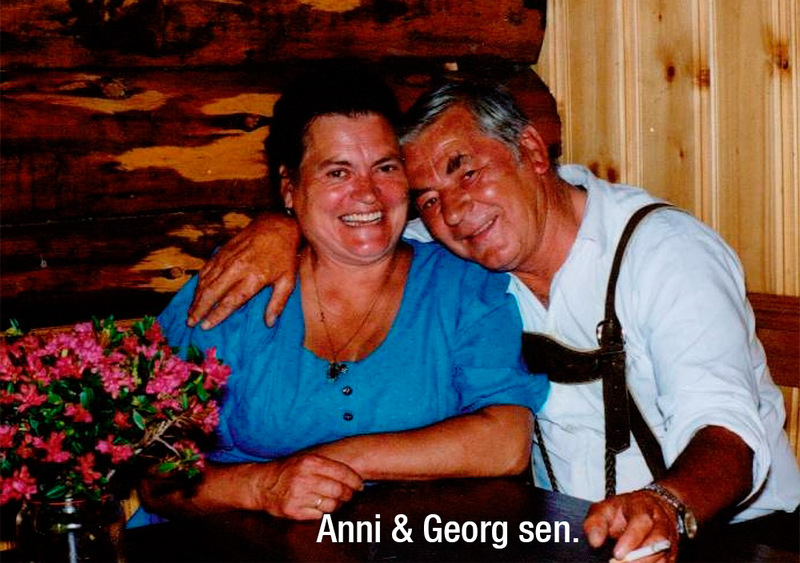 Anni & Schorsch got to experience many funny moments with their guests. Grandma Anni still enjoys telling stories of the past. It soon became clear that the hall of the inn was no longer up to date. The large "hall" became many small, cosy parlours. The front parlour also had to be adapted to the remaining extension. A small bar was installed at the same time. 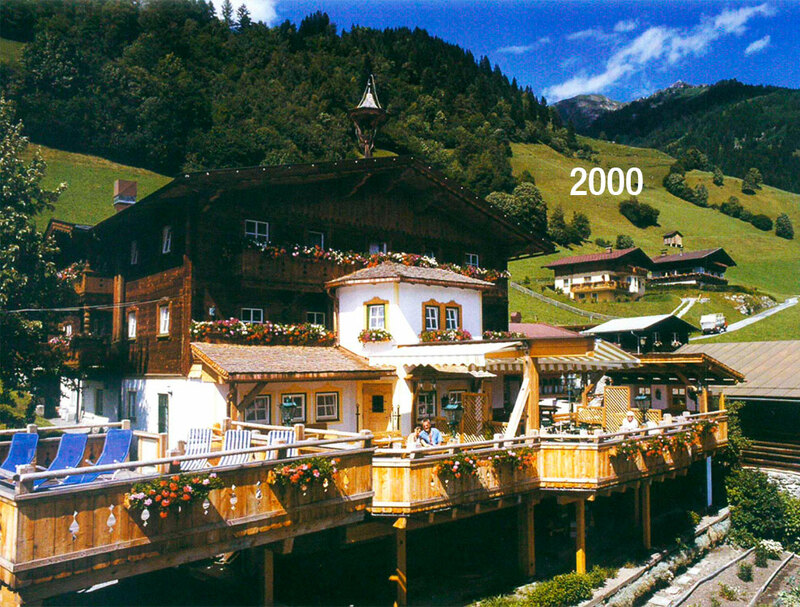 Our destination was also to become more attractive for children. Therefore, the playground was renovated and redesigned. What could be nicer than spending a sunny day on a comfortable terrace? 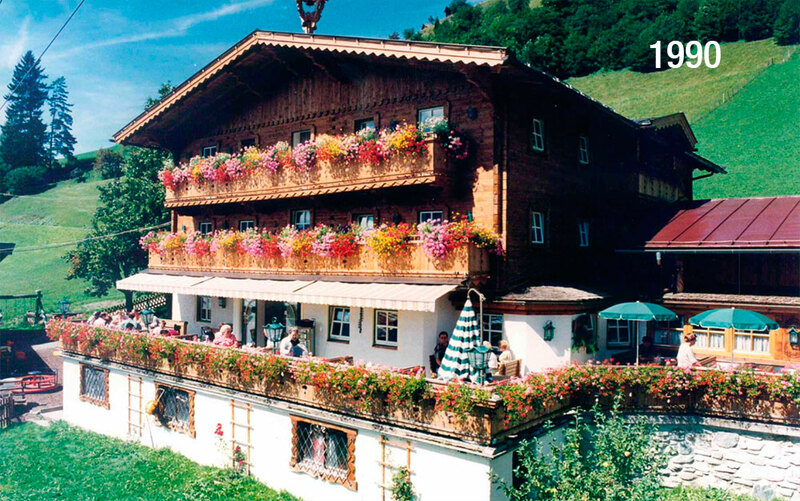 Many of our guests thought the same and soon the terrace became too small. By enlarging and redesigning the terrace, we now have our own "premier seats" at 1,080m above sea level. Following many small projects it was time for a big change. 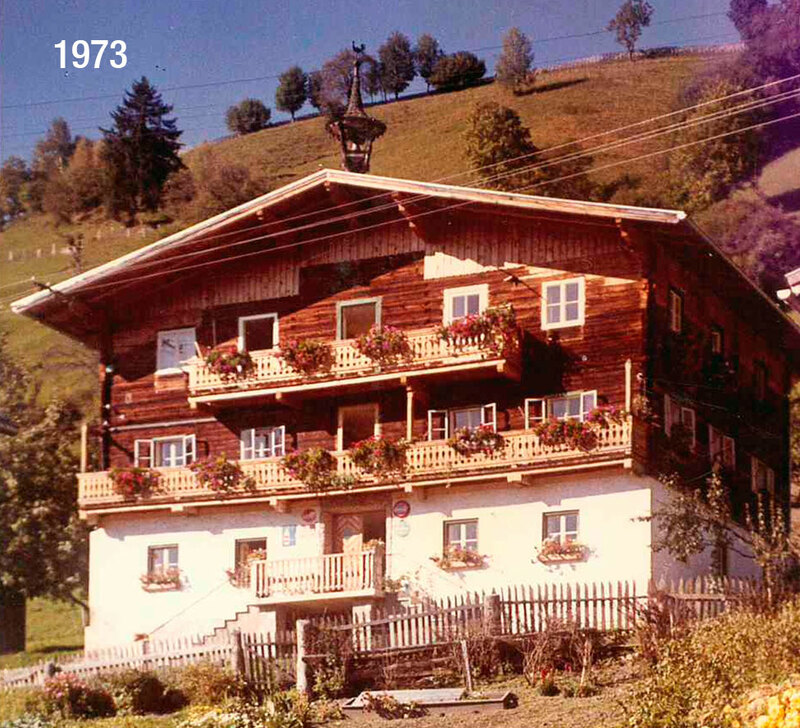 Christl & Schorsch knew exactly what it should look like - "Wellness and recreation in the mountains". 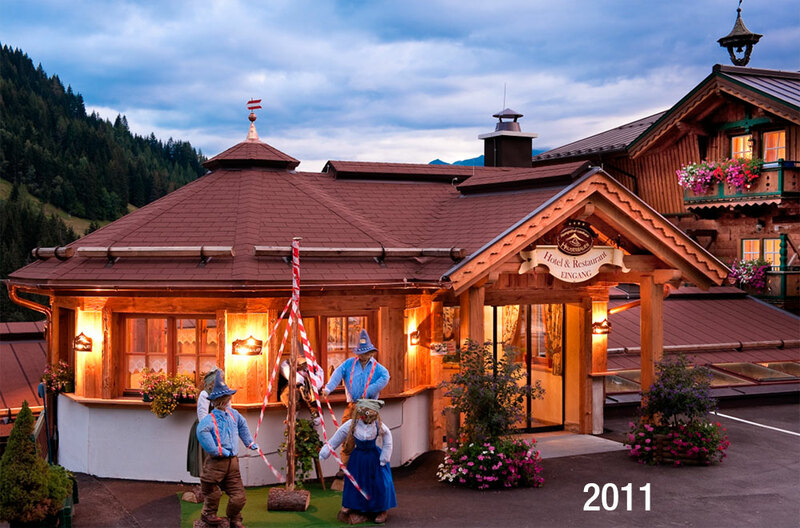 The number of beds was increased from 18 to 52, and the guesthouse was extended by a rustic alpine wellness garden and for the first time was lent a real "hotel character". Not to be forgotten is also the heating system, which was changed from oil to wood chips that year. We extended our family business by a small ski hut at the Fulseck summit. Together with the Unterkofler joinery from Großarl, which also accompanied us during the previous constructions, we built the summit cottage, a cosy hut at 2,033m above sea level with a great surrounding view. The “old rooms” also had to be renewed at the hotel, for everything to be uniform again. We built a "home" for the wood chips. 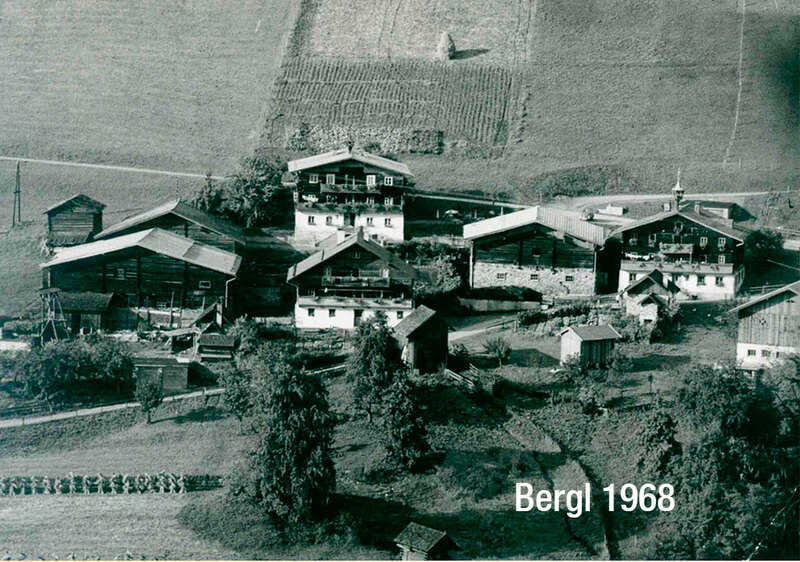 In front of our village area "Bergl" on the right hand side you will find our depot for the wood chips. Since May 2011 we started to welcome our guests in the new reception area with a comfortable lobby. The rustic bar and the cosy ambience of the new restaurant invite you to linger a while. An important year for all car lovers, just like the boss of the house. From then on we also featured a free place in the carport for each room in the hotel, protected from wind and weather. Since then nothing has stood in the way of a carefree holiday. After the construction of the wood chip heating system in 2002, the topic of sustainable energy supply continued..... We carried on with a photovoltaic system. The sunny location of our hotel was perfect for this project. Fortunately, we had already built the ideal place for our 25 KW plant in 2012 - the carport thus has a double benefit for us. Safety FIRST! 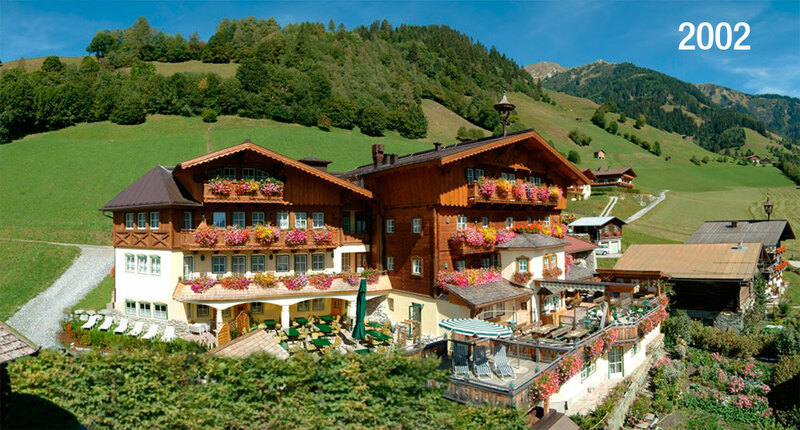 Since October 2015, we have an installed complete fire alarm system at our country hotel. In the event of a fire, the location of the fire can be determined quickly and easily. We have been offering free e-charging stations to our guests (both restaurant and hotel guests) since July 2017. You will find them well protected under our carport. We are already excited about which of our dreams we will get to implement next. 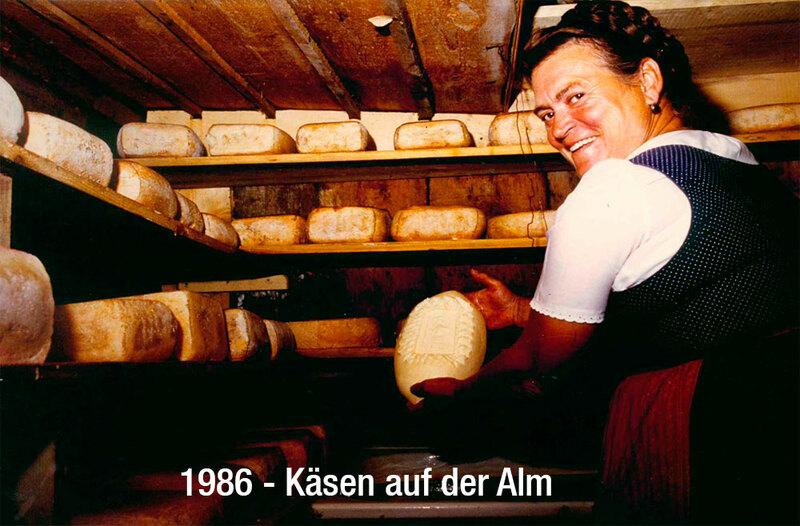 It was certainly not always easy, but with a common goal in mind, the ambition and unity of the whole family, the Hauserbauer became what it is today. We would like to take this opportunity to thank everyone who has always supported us so actively!